Five top candidates for the 72nd Alice in Dairyland were announced today, a key step in the process of selecting Wisconsin’s next agricultural ambassador. The five top candidates ­were announced at a press conference held at the New Glarus Hotel in New Glarus. 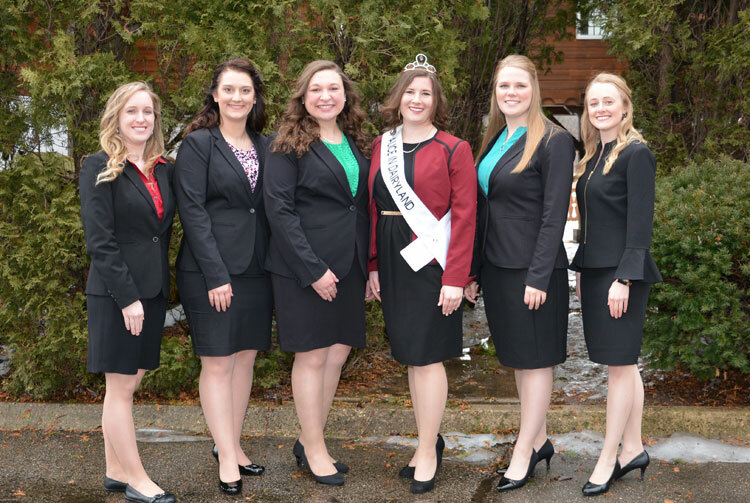 Following an extensive interview process, the 72nd Alice in Dairyland will be selected from among the five candidates at the conclusion of the Alice in Dairyland Finals Program, scheduled May 9-11 at various locations in Green County. The five top candidates are Sarah Achenbach, Eastman; Cassandra Krull, Lake Mills; Abigail Martin, Milton; Mariah Martin, Brooklyn; and Tess Zettle, Juda. Sarah Achenbach grew up learning about hard work and dedication while helping her parents raise crops and livestock on their diversified farm, and by helping at her uncles’ dairy farms. Achenbach participated in her local 4-H and FFA clubs, where she held multiple leadership roles. Achenbach shared her love of Wisconsin agriculture as the 2010 and 2011 Senior Fairest of the Fair, and the 2014 Crawford County Fairest of the Fair. She graduated in 2018 from the University of Wisconsin-La Crosse with a degree in therapeutic recreation with an emphasis in communication. While at UWLC she held officer positions in Student Senate, Therapeutic Recreation Club, Tri Sigma, and Gamma Sigma Sigma. With her degree, she strives to connect individuals with disabilities to life on the farm. “As Alice in Dairyland, I will use my leadership skills and abilities to communicate to inform consumers from diverse backgrounds about the importance of the agricultural industry in Wisconsin, where their food comes from, and the farming community,” said Achenbach. Cassandra Krull developed her work ethic and go-getter attitude from farming alongside her parents and siblings on the family dairy farm. Striving to be the fourth-generation farmer at Krull Farms, she completed her degree in animal science with a dairy emphasis from the University of Wisconsin- Platteville in December 2015. Upon graduation, she started her professional career with Cargill Animal Nutrition, working with customers on all phases of the farm to improve dairy cow and farmer profitability. Currently, she works for STgenetics as a call center sales specialist, providing dairy farmers with different genetic opportunities throughout their herd. In her free time she gives back to the organizations that helped mold her into the individual she is today. She helps with Jefferson County Dairy Youth, coaching dairy quiz bowl and jeopardy, teaching fitting and showmanship clinic; and she oversees dairy youth exhibiting at the Wisconsin Junior State Fair. Abigail Martin has a passion for all things Wisconsin: good cheese, the Wisconsin Badgers, and her Wisconsin farm family. 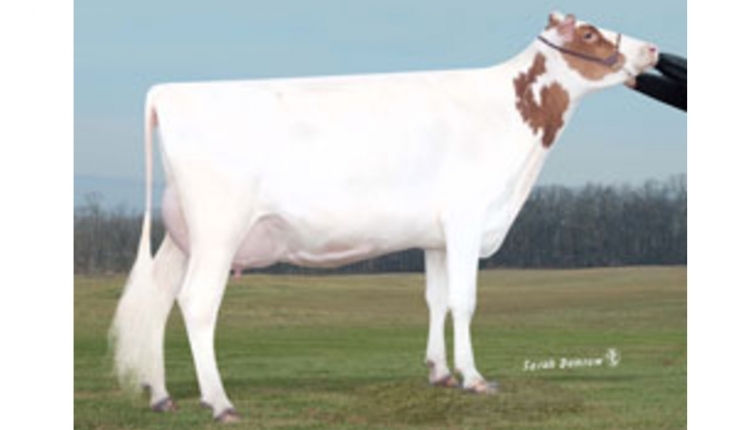 She is the fourth generation on her family’s registered Holstein farm. It was there that she found a love for dairy cattle, and long summer days at the county and state fairs. Her interest in agriculture led her to pursue a degree in dairy science at the University of Wisconsin-Madison. On campus, she was involved in the Association of Women in Agriculture, Badger Dairy Club, Collegiate Farm Bureau, and was on the intercollegiate dairy judging team. She has held previous roles in marketing at the Rock County 4-H Fair, East Central/ Select Sires, and Babcock Hall Dairy Store. Upon graduation in May 2018, she accepted a role with DeLaval Inc. in their North American marketing and communications department. Mariah Martin is the seventh generation in her family to be involved in the agriculture industry. Her love for Wisconsin agriculture began with her involvement with the Brooklyn Mighty Mites 4-H club. Martin graduated from the University of Wisconsin-Madison in May 2018 with a bachelor’s degree in life sciences communication and a certificate in agricultural business management. Her passion for agriculture has led her to work for and with farmers as an account associate at Osborn Barr + Paramore, an advertising agency with a focus in the rural and agriculture landscape. In her spare time, she enjoys reading and her involvement with Association of Women in Agriculture Benefit Corporation and Farm Bureau. “From the farmer’s gate, to the consumer’s plate, the diversity of Wisconsin agriculture is evident. As Alice in Dairyland, I will use my gift of gab and passion for sharing farmers’ stories to deliver the value and economic impact of agriculture to diverse audiences throughout our great state,” said Martin. Tess Zettle found her love for agriculture at a young age. Growing up on her family’s dairy farm, she learned firsthand about the hard work and dedication involved with farming. Zettle was an active member of 4-H, FFA and the Wisconsin Junior Holstein Association, and she also served as her community’s Dairy Queen and Green County Fairest of the Fair. In 2015, she graduated from the University of Wisconsin-Platteville with a degree in animal science, with an emphasis in dairy and a minor in public relations. She currently is employed at Kuhn North America, an international innovator in agricultural forage and manure handling implements. As product management administrator, she is responsible for the creation of catalogs for domestic and export products. Zettle had the opportunity to travel to Kuhn’s home office in Saverne, France, and, while in France, she tasted some locally made cheeses, further driving her passion and love of all things cheese. As such, this past fall, she proudly represented the dairy industry and Swiss heritage as the 2018 Cheese Days Ambassador. (l-r): Sarah Achenbach, Cassandra Krull, Tess Zettle, 71st Alice in Dairyland Kaitlyn Riley, Abigal Martin, Mariah Martin. 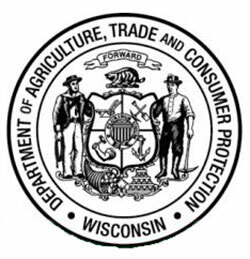 Alice in Dairyland is a one-year, full-time public relations position with the Wisconsin Department of Agriculture, Trade and Consumer Protection. The start date for the 72nd Alice is June 3, 2019. Top candidates completed an application and a preliminary interview. In this highly visible and fast-paced position, Alice in Dairyland travels throughout the state teaching rural and urban audiences of all ages about Wisconsin's extensive agricultural industry. In the position, Alice cultivates relationships with television, radio and print media outlets; writes and delivers speeches; and utilizes social media to tell the stories of Wisconsin agriculture. Additional duties include developing and executing marketing plans, delivering classroom presentations, and networking with industry professionals. Each year, a different Wisconsin county hosts the Alice in Dairyland interview and finals activities, with Green County serving as the host county this year. The 72nd Alice in Dairyland will be selected at the conclusion of the three-day finals program, May 9-11. Candidate Discussion Panel, Friday, May 10 (Albany Lions Club): dinner, 6 p.m.; discussion panel, 7 p.m. Ticket required ($15). Join the 72nd Alice in Dairyland candidates as they take part in a discussion panel addressing agricultural topics. 72nd Alice in Dairyland Finale Program, Saturday, May 11: social, 5:30 p.m.; dinner, 6 p.m.; finale, 7:30 p.m. Tickets required: Dinner (Monroe Turner Hall) and Finale Program (Monroe Middle School Auditorium), $30 for both; Finale Program only, $10. For more event information, visit aliceindairyland.com.